Once again, we are supporting alumni parent, Ann Martin’s (aka Bussone), efforts to provide much needed personal care and comfort items to individuals experiencing homelessness in Pasadena. We would like to extend her invitation out to the CEC community to participate in this meaningful project. Please see below to read Ann's letter and view a full list of the items she is hoping to collect. We will have boxes in the Oak Grove and Co-op offices, as well as in the Dolphin room for families to drop off donations. Thank you for paying it forward this holiday season! I invite you to join me in the SIXTH annual drive to provide holiday backpacks for the homeless in the Pasadena area. Thank you so much to all of you who continue to participate and a warm welcome to those of you who are new. Every year I am so touched by the amazing generosity of my friends, colleagues and family! We all have so much to be thankful for and I appreciate you all paying it forward by contributing something to those who survive on so little. Thanks to your overwhelming generosity, last year we were able to distribute 45 backpacks and sleeping bags filled with necessities for homeless women and men in our community. When we ran out, we had extra gift cards that we were able to hand out so nobody left empty-handed. Your contributions really make a difference. Sadly, the problem of homelessness continues to grow. With rents soaring, we are seeing many more seniors and families being displaced. Or if prefer to order online from another source you can have your donation shipped to my address at 525 N Michillinda Ave., Pasadena 91107. If you enjoy getting out to the stores and shopping (99 cent store and Target are great options). I am happy to come to your home or office to pick up any donations you wish to make. I plan to distribute the backpacks during the week of Christmas. Suggested items are listed below. Small denomination food gift cards to McDonalds are not available on Amazon, but are much appreciated, as are donated items of clothing! Subway gift cards are available and you can buy purchase them at the above link. I want you all to know the impact you are having in the community! I am so thankful to have such wonderful people like you in my life. Thank you for your consideration and, of course, no pressure to participate! With additional appreciation from Elyssa! For the past five years, the CEC has participated in alumni parent Ann Martin's annual drive to provide holiday backpacks for the homeless in Pasadena. We would like to once again extend her invitation out to the CEC community to participate in this meaningful project. Please see below to read Ann's letter and view a full list of the items she is hoping to collect. Thank you so much to all of you who continue to participate and a warm welcome to those of you who are new to this endeavor. Every year, I am so touched by the amazing generosity of my friends, colleagues, and family! We all have so much to be thankful for and I appreciate you all paying it forward by contributing something to those who survive on so little. Thanks for your overwhelming generosity, last year we were able to distribute 40 backpacks and sleeping bags filled with necessities for homeless women and men in our community. When we ran out, we had extra gift cards that we were able to hand out so nobody we encountered was left empty-handed. Your contributions really make a difference. Sadly, the problem of homelessness continues to grow. With rents soaring, we are seeing many more seniors and families being displaced. My heart broke when I encountered an elderly man walking through a gas station with a shopping cart holding his remaining possessions. His mop and broom poignantly protruded from the neatly packed piles of clothes, kitchenware, and other belongings. When I asked if he was okay, he told me he could no longer afford his rent. He was so grateful for the sleeping bag and the gift cards I was able to offer him. I wanted to take him home with me. This year, I have purchased 48 backpacks to fill with things that the homeless can use to make their lives a little better. In an attempt to try to make this more convenient for you during this busy time of year I have put together a Wish List on Amazon of items we need. If you enjoy getting out to the stores and shopping (99 cent store and Target are great options). Please bring your donation to the designated CEC drop off locations and they will be delivered to me by December 21. I plan to distribute the backpacks during the week of Christmas. Suggested items are listed below. Small denomination food gift cards to McDonald's are not available on Amazon, but are much appreciated, as are donated items of clothing! I want you all to know how thankful I am to have such wonderful people like you in my life. Thank you for your consideration and, of course, no pressure to participate! 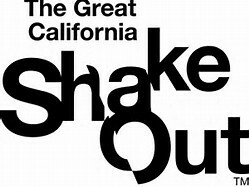 Each year, the CEC participates in the The Great Southern California ShakeOut. This year, the ShakeOut will be held on Thursday, October 19 at 10:19 am*. This earthquake preparedness event is designed to raise awareness and encourage Californians to prepare for large earthquakes in their homes, schools, businesses and public places to prevent disasters from becoming catastrophes (you can read more about this event at http://www.shakeout.org). 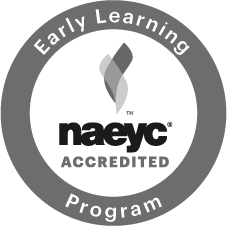 For the Infant-Toddler and Preschool Programs, our participation will include a drill and evacuation which will likely last approximately 20 minutes. The School-Age children at LCE, PCR, PCY, Westridge and St. Bede will be participating in their school’s drills. Children enrolled at the School Age Program at Caltech or the School Age Program at Oak Grove, will practice in the afternoon. Our goal is to make this as relaxed and stress-free for everyone as possible while providing children and staff with valuable practice in what will happen in the event of an earthquake. This year, we will be revising the Center’s Earthquake and Emergency protocols and distributing them to parents so that there is shared knowledge of the Center’s plan of action and what parents need to know in order to feel secure regarding the Center’s plans, supplies, and practices. We anticipate the revision will be ready for distribution before the end of the year. If you have any questions, please feel free to contact a program director. *Please arrive and sign in before 10:10 or after 10:40. We will not be signing children in during the drill. Many parents ask us why we require foods like raw carrots, grapes, or hot dogs be cut in specific ways. According to the American Academy of Pediatrics (AAP), choking is a leading cause of morbidity and mortality among children, especially those aged 3 years or younger. The foods that I mentioned above, plus many more foods, toys, and household items have been determined to be choking hazards by notable health organizations, including the AAP. Our own extensive experience with children shows us that they can and will choke or have difficulty chewing and swallowing certain foods, even into the preschool and early elementary school years. While we know it may be time-consuming to cut food into small pieces, eliminating opportunities for choking is paramount for children’s wellbeing. Please see the following video in which Philip Gendreau, MD, Assistant Professor of Pediatric Otolaryngology at Uniformed Services University of the Health Sciences—Naval Medical Center San Diego, identifies the risk factors and common items associated with choking. He also explains what parents should do in a choking emergency.